Photograph of Vicious Dog by Joey L.
Hamer tribe, Omo Valley, Ethiopia. Bona is the highly respected chief of his village, Labaltoy. In Hamer culture, the name Bona is given to an aggressive dog or animal. It is not a common name for a human. When he was young, Bona showed strong signs of aggression and strength, causing his mother to choose this name. 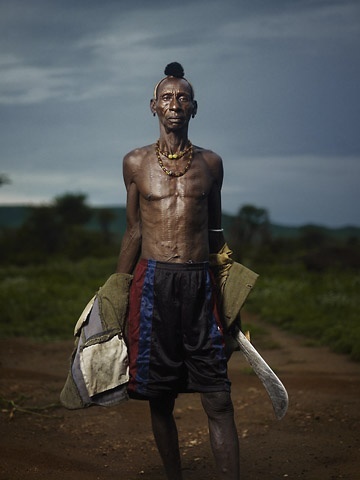 His scarification is a symbol of the enemies of the Borana tribe he killed in battle.